Famous Annapurna Region lying in north- western part of the country is one of the popular trekking destinations. The Nagi Narchyang trek passes through beautiful villages, high passes and rugged landscape is regarded as one of the best trekking trails in Nepal. The trail offers some of the views of mountain peaks in Annapurna range. The region is also rich in terms of unique culture, tradition and life-style of ethnical people. Trek to Annapurna region has remained one of the most popular activities for the trekkers across the globe for the past many decades. But the trail is gradually shortening with the advent of motor able roads and other physical infrastructure. It is because of this very fact that alternatives trails are being identified, explored and promoted in the region. Be it the new trail in Nagi Narchyang is expected to offer something new to trekkers. Himalayan Joy Adventure has planned eleven days trek to complete this trek which is suitable for those who are looking short trek. The trekkers can enjoy their holidays in this trail experiencing home-stay, local ethnical cultures and the natural bath in hot spring. 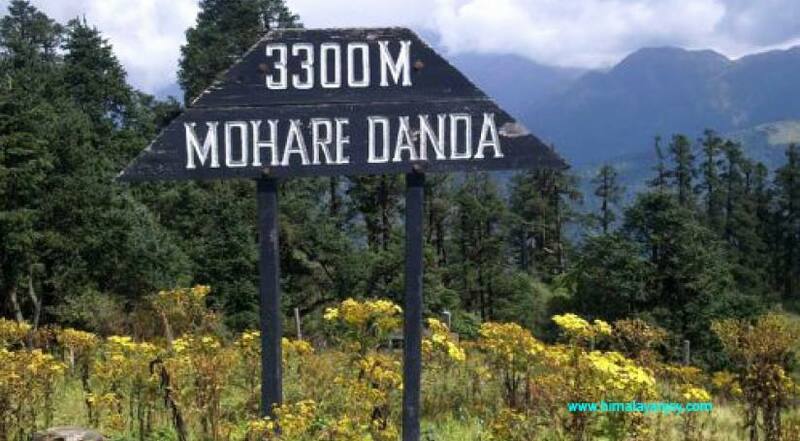 03 Days TREK TO MOHARE DANDA 3300M. Airport Pick up and drop by Private tourist Vehicle. Nepal entry visa; you can obtain a visa easily upon your arrival at Tribhuwan International Airport in Kathmandu. (Tourist Visa with Multiple Entries for 15 days can be obtained by paying US $ 25 or equivalent foreign currency. Similarly, Tourist Visa with Multiple Entries for 30 days can be obtained by paying US $ 40 and Tourist Visa with Multiple Entries for 90 days can be obtained by paying US $ 100. Please bring 2 copies of passport size photos). ECO-FRIENDLY :- Every day the world is facing a big issue of environmental pollution and in Nepal as well. Our field staffs are quite conscious about environmental pollution at any time and we encourage to all. We would suggest to our guest to use boiled water or water purification pills than buying a bottle of water, it helps to avoid plastic bottles which can takes long time to disappear. During the trek, if possible you can order same items food in a group which minimizes the fuel used and to make campfire is almost forbidden. We would encourage being a responsible traveler so, just leaving foot-print on the trail and bring out all non-biodegradables which you had.